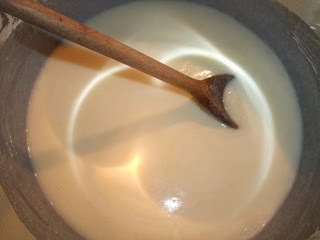 Atomic Yoghurt's Vital Musings: Experiments in Recrystallisation 2 - Success? I may have achieved success! 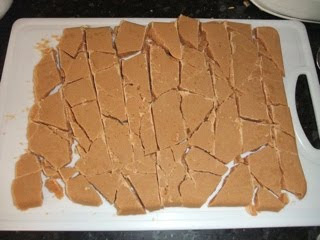 So here's the method for making delicious delightful tablet that will help weight loss as part of a calorie-controlled diet. 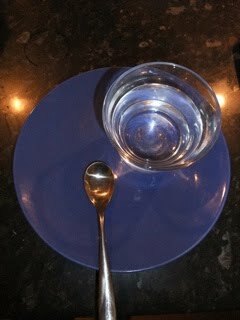 get a plate, a glass of cold water, and a teaspoon. Put all the ingredients into a LARGE pan (do not use a non-stick pan). 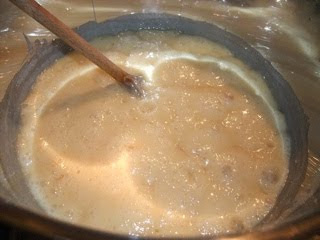 The mixture will more than double in volume when it starts boiling, so make sure it is big enough, for goodness sake. 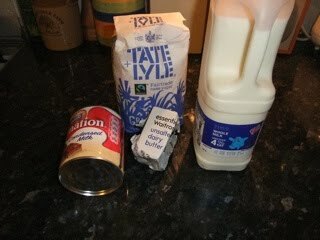 The idea is that the milk just damps down the sugar, so don't put too much in. I found just under 1 cup of milk to be enough to dissolve the sugar, but not too much to boil off. 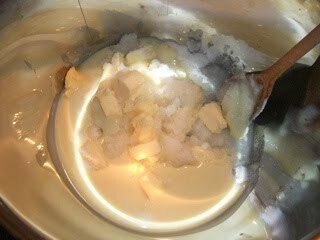 Heat the mixture on a medium heat until everything is dissolved. 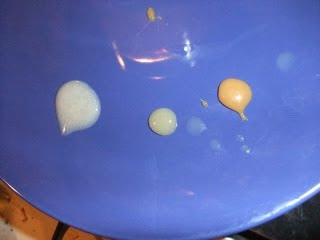 Take a little of the mixture out and put it on the plate to keep track of the starting colour. Stir regularly. 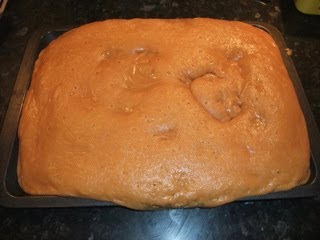 If you get bits of brown coming off the bottom reduce the heat and keep stirring, if you get black good luck cleaning the burned sugar off the pan. Once it boils you can stop stirring all the time, but do it every so often. It won't stick to the pan unless the pan is too hot. 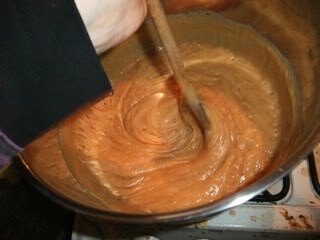 Periodically check the colour and smell of the mix. At some point it will suddenly stop smelling of hot butter (yuk!) 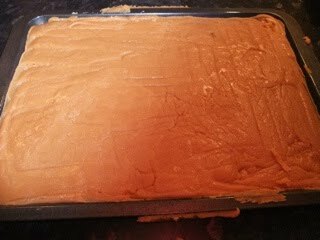 and start smelling of tablet (yum!). This is the point to stop! 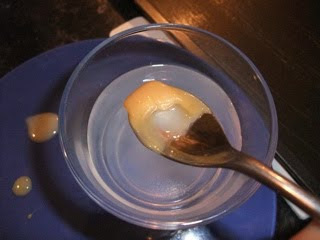 To check take a small teaspoon of mix and plunge it into cold water. If you can push your finger into it and it retains its shape then it is ready. It takes about 15-18 minutes to get to this stage. Take it off the heat and stir like crazy. 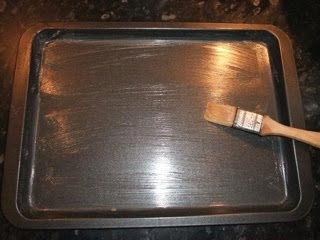 As soon as you feel crystallisation (slight thickening on the bottom of the pan), STOP and pour it into the tin. This is where it went weird. I think I boiled it too long and the solution was far too saturated. As I poured it into the tin it boiled over! Anyway I squished it down again and the result is perfect!